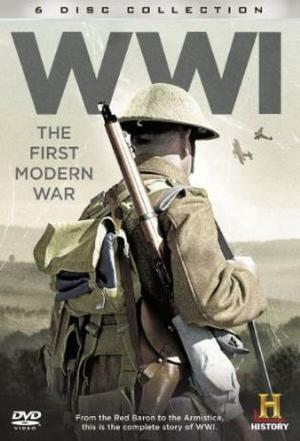 WWI: The First Modern War (2014) : Série TV de 1 saisons et 4 épisodes diffusée sur . Casting, acteurs, bandes annonces et actualités. 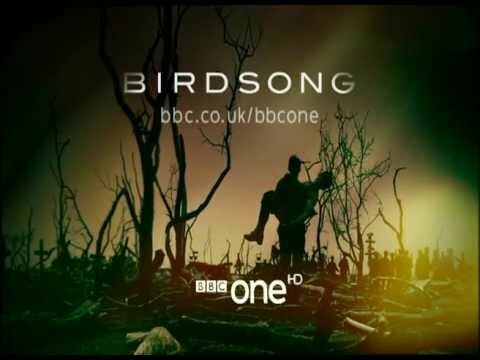 This miniseries focuses on the game-changing weapons that were introduced during World War One - the war that was supposed to end all wars. Troops who were bunkered down in vast trenches became overwhelmed by powerful new weapons, including tanks, WMDs, submarines and the first blitz. Through experts, eyewitness testimony, riveting archive and special recreations seamlessly blended into an archival background, each hour-long episode features the story of one of these weapons. The mini-series examines how and why the weapons were developed, the strategy of how they attempted to break the bloody trench warfare stalemate, and their ultimate effectiveness. At the end of four years of war, a generation of men was lost. Casting de la série "WWI: The First Modern War"
S01E01 Armored Beasts 26/07/2014 Tanks were the first armored fighting machine to be used on the battlefield. These "land ships", as they were first called, were championed by Head of the British Admiralty Winston Churchill. Adapted from an American tractor with caterpillar tracks, the machine was designed in secrecy to break through the heavily fortified trenches and offer protection for troops that were being mowed down by heavy artillery. Though a massive failure in their first combat in the Battle of the Somme– they broke down and got stuck in the mud–British government propaganda reversed the story and paved the way for thousands of tanks to be built and become a decisive weapon in the war. S01E02 Massive Air Attacks 26/07/2014 While most people think the Blitz originated in WWII, the truth is that the first Blitz happened during WWI. Bombs were delivered from giant airships designed by Count Ferdinand von Zeppelin, who got his inspiration when he was a Germany Army observer in the US during the Civil War and rode in a hot air balloon for the first time. These lighter than air superstructures, two times longer than the Statue of Liberty is high, measured their flights in hundreds of miles when pioneering aviators measured their success in hundreds of yards. S01E03 Clouds of Death 26/07/2014 The Germans, ignoring international treaties they signed, were first to weaponize a chemical. In this case it was chlorine–a highly toxic ingredient used in the manufacture of chemical dyes of which they had a huge supply. Their action unleashed an escalation of poison gas weapons as both sides developed different chemicals and more effective counter measures. Their use of culminated in a bold British plan that unfolded beneath the battlefield at Messine Ridge. British mining and explosive experts planted 450 tons of high explosive hidden in a network of tunnels under Messine ridge. When ignited, they created the biggest land mine in history–killing 10,000 German soldiers. The explosion rattled windows at 10 Downing St., 140 miles away and registered as an earthquake in Switzerland. S01E04 Underwater Killers 26/07/2014 The Atlantic became a killing field as German submarines took on the might of the dominant British Navy. The stealth and silent killers were able to sink 5,200 ships by war's end, and nearly brought Britain to its knees. But in their frenzy of attacks, the Germans sink the US passenger liner Lusitania, killing nearly 2,000 on board. American outrage helped President Wilson get Congress to finally agree to enter the war. In the end, the Allied Atlantic blockade forces Germany to surrender, but the submarine was established as an effective military weapon. Envie de parler de WWI: The First Modern War ? Les discussions sont là pour vous. Retrouvez toutes les informations sur WWI: The First Modern War lancée en 2014 : synopsys, casting complet, acteurs, scénariste, réalisateur. Découvrez des séries similaires à regarder également. Faites vous une idée de la série grâce à la note des membres et aux critiques des internautes.